Possibility to spend the night at Frankfurt airport (FRA), if open 24 hours. Services available, places to rest (free resting zones), or look for the list of nearby hotels and vip lounges..
Those passengers who have a connection or initial departure flight in the early hours of the day will not have any inconvenience in spending the night at Frankfurt International Airport. Not only it stays open 24 hours a day, but there are also several services available throughout the night. Where to rest: In Terminal 1, concourse B is open 24 hours a day (concourses A, C and Z usually close down), and in Terminal 2 the most suitable area is on the second level. In Terminal 1, most seats have metal armrests, so they are not the best places to rest. But in ​​Arrivals Hall of Terminal 2 there are seats without armrests, which are ideal if you grab two or three. Another option are the yoga rooms, available around the clock by gates C14-C16 and D1-D4. It is advisable to have a mask and earplugs, since the airport is quite lively at night and it is a bit noisy. If you have to sleep on the floor, have a blanket on hand, since it is usually cold. In the case of passengers in transit, which are already in the boarding area, besides the yoga rooms already mentioned, there are "Leisure Zones", relax areas with comfortable chairs, ideal for resting, close to gates A26, A50, B43 and D1-4. Passengers who get stuck at the airport for different reasons can ask for cots from an airport representative. 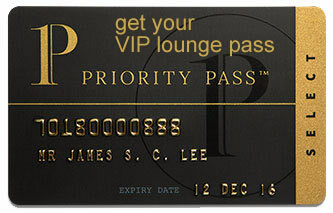 Another option (by paying in cash or with a card membership) is to use one of the VIP lounges, where you can access more amenities and privacy, although they close at night. SEE VIP LOUNGES In Terminal 1 you will find a transit hotel, while inside the airport grounds there are three more hotels. Luggage: In concourse B of Terminal 1 there is a left-luggage office available 24 hours a day where you can leave your bags to be able to rest lighter, without the worry of having to take care of your baggage. The rest of the offices close at 10:00 pm and only reopen early in the morning. Eating and drinking: There are convenience stores, bars and fast food outlets open around the clock in both terminals. Bathrooms: Showers available both in Terminal 1 and Terminal 2 with a small cost. There are also showers in the VIP lounges. Wi-Fi: Free and unlimited. There are also AC power-plugs and USB ports to recharge mobile devices. Entertainment area: A good place to spend the night is the public area of ​​Terminal 1, with slot machines, games, internet kiosks, etc. Medical services: First aid and medical care available 24 hours a day in Terminal 1. Other services available around the clock: ATMs, currency exchange bureaus, children's play areas, baby changing facilities, prayer rooms, smoking lounges, yoga rooms, games rooms. The hotels Sheraton Frankfurt Airport Hotel & Conference Center, Hilton Garden Inn Frankfurt Airport and Hilton Frankfurt Airport are connected to Terminal 1, while inside the transit area of that building is situated the My Cloud Transit Hotel (only for non-Schengen passengers). You can also find many options nearby, some of them with complimentary shuttle services.